We believe your health is about more than fixing a problem. A lot of times, people only go see a doctor when they’re sick or hurt. But if you only see a doctor at the urgent care center or the emergency room, you are missing a huge part of your health needs. Primary care is about your health and wellness overall. Primary care is about your comprehensive medical needs. Primary care providers (PCPs) are physicians you can see over your entire life, who you get to know and trust. A PCP will know everything there is to know about your health and wellness – your history, things you like or dislike, what you need to work on. This makes them better able to help you make the best decisions for your health. Primary care focuses on prevention. We want to keep you healthy and out of the emergency room. We want to help you manage chronic illnesses, make good nutrition choices, and lead a healthy lifestyle. This is accomplished through routine check-ups and additional visits/referrals to specialists when necessary. Family medicine, pediatrics, internal medicine, and women’s health are at the core of primary care. 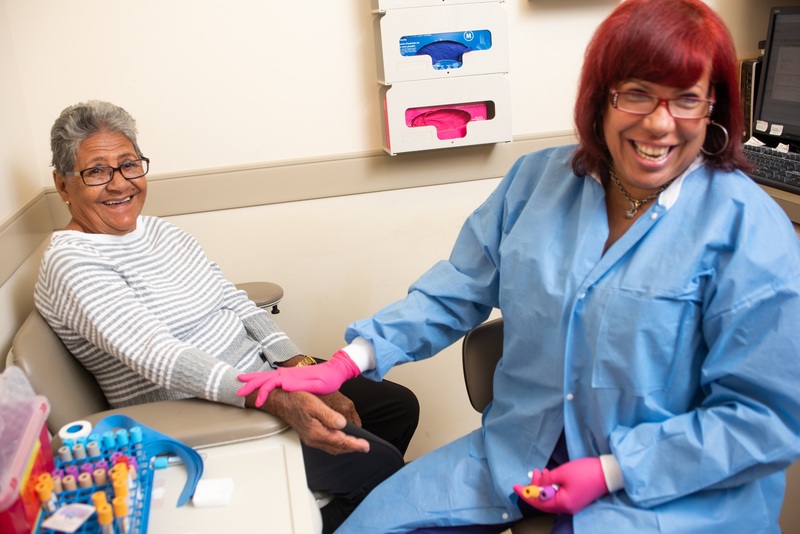 But many of our sites also offer HIV/AIDS prevention and treatment, podiatry, nutrition counseling, addiction management, prenatal services, breastfeeding support, diabetes education, case management, and more. Oral health and behavioral health are incredibly important to keeping the rest of your body healthy, and all three need to work together for the best outcomes. Our clinical facilities are designed to make that happen. Our teams sit in “pods,” that typically include a PCP, medical assistant, nurse, and behavioral health specialist. This enables better communication among all members of the team, making it easier for them to take care of you! If you need care today, many of our sites offer Urgent Care services for our patients! Check if your site has Urgent Care for same-day appointments. We see patients from pediatrics to geriatrics!